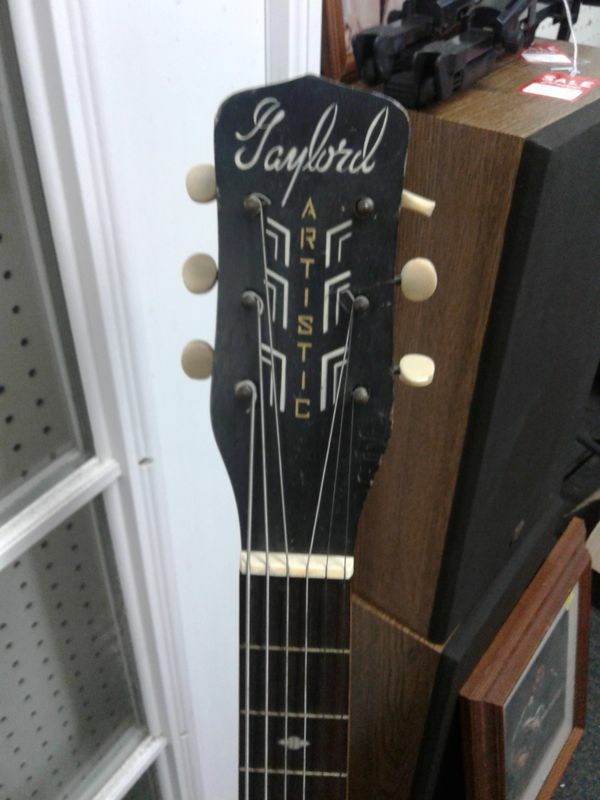 I've have the honor of working on a very clean late 60's Kay K6150 flat top "super auditorium" acoustic guitar in a "golden cherry" finish. This model was made from 1966 till 1968. 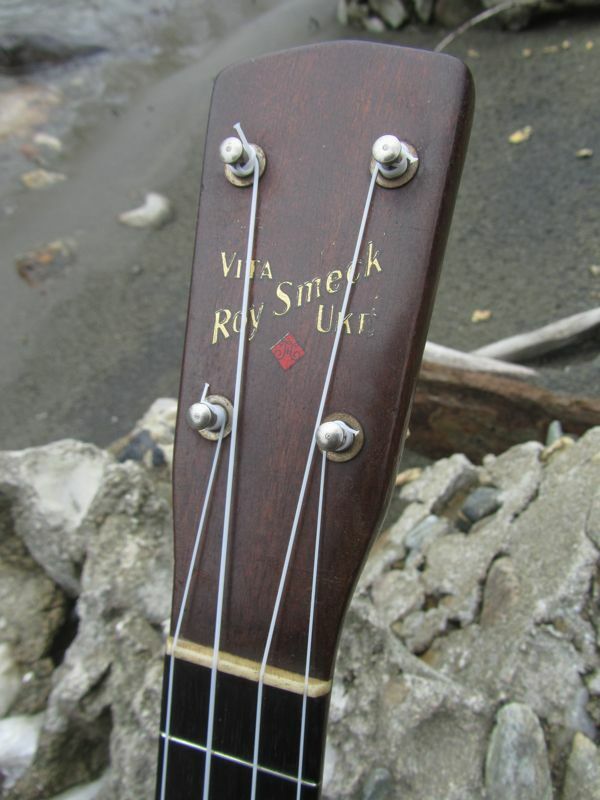 The bridge was shaved flat in an effort to bring the strings down to a playable level. The saddle slot was cut deeper too and the bridge modification seems fairly professionally done. The bridge has been bolted down to the body with 3 bolts, two decorative ones that I know are stock and then a third solid brass flat-head bolt that I cannot determine its originality. The bridge was lifting from the back and cracked between the pin holes which I determined to be caused by the chewed up bridge plate. The bridge was about ready to pop off and I only needed a little heat to encourage some stubborn spots which, as it turns out, the bridge was glued directly onto the lacquer finish. 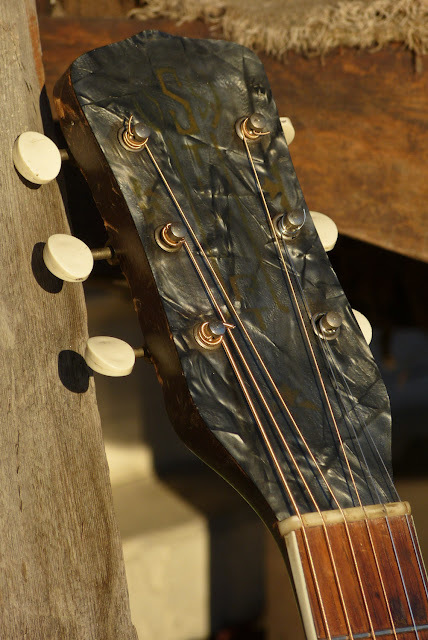 There was no attempt made to scrape the lacquer back or even to score or rough it up; the bridge was glued right onto the finish and bolted down which is why it failed to stay put. The neck joint's glue failed years ago and after removing the aforementioned bolt I discovered that the neck had an impressive amount of wiggle room. The hole for the bolt made for an easy entry to the dovetail for my steamer and I removed the neck fairly quickly since it was already so loose. I was shocked at how loose the dovetail joint was after I removed the glue. Most guitars I can put the neck on dry and it'll fit pretty snug but this guitar's block barely makes any contact with the dovetail; no amount of glue will help hold that joint together. 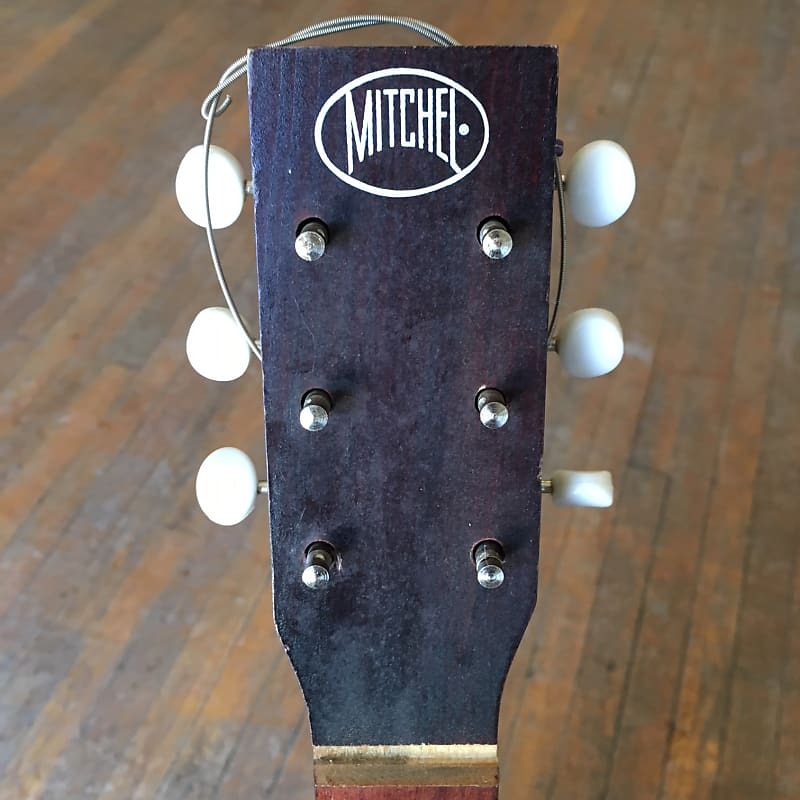 I've been asked to fill the neck bolt hole with a strap button which I believe is totally feasible and the strap button is an easier approach to hiding the hole. 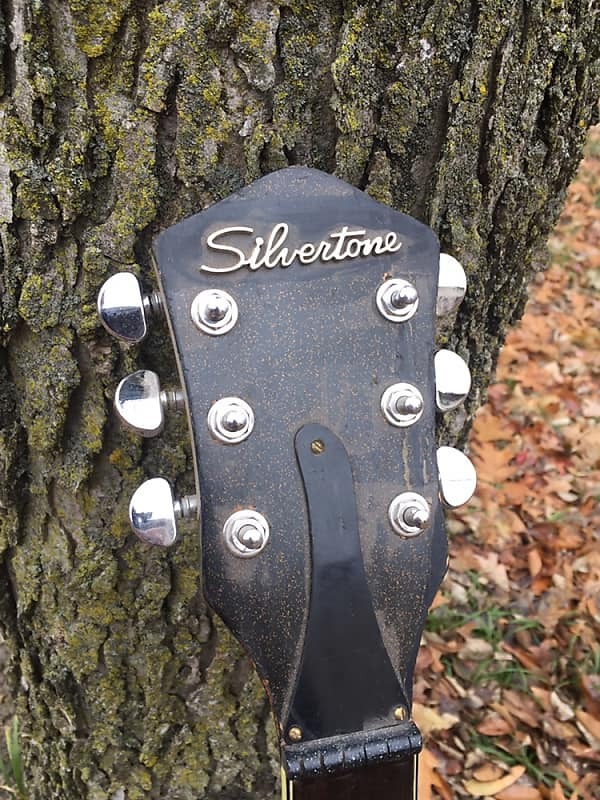 Built by Tomono and distributed by Strum and Drum Inc out of Illinois. Paris Corporation Guitar Amplifiers are one of the more obscure US-built brands of musical instrument gear that came about in the 1960s. The amplifier is labelled with a date ending in "66" in a couple places and the last "issue" on the schematic is dated to "65" which leads me to believe this amplifier was built in 1966. The resistors and capacitors seem to be of good quality and the entire amp is wired point to point. 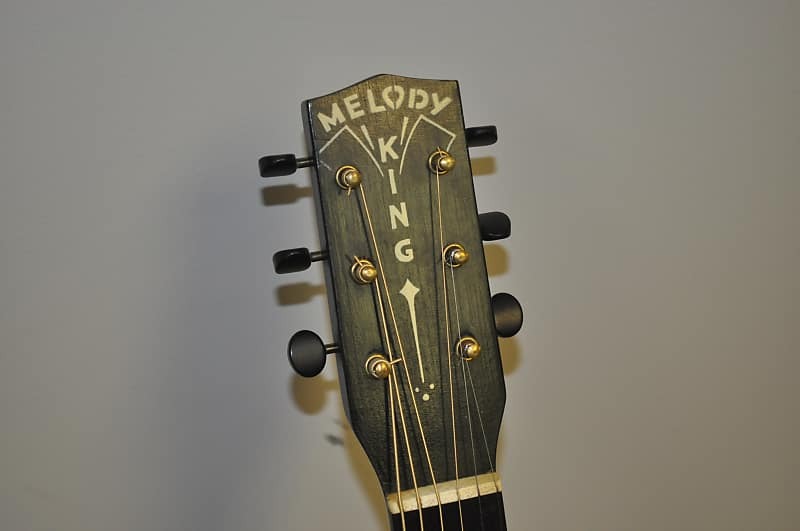 The potentiometers are Mallory and their pot code is 235 which is confirmed by one of the pots having the word "Mallory" on it. The speaker is Oaktron with a speaker code of 918. The amp has two germanium transistors for the power section. Paris Corporation was based out of 521 Bishop Street in the town of Salina, Kansas . According to the Kansas Department of Health and Environment's assessment of the property, "Facility operations included assembly and manufacturing of electronic consumer products" [Basin Report pg. 79]. It appears the company dissolved quietly as KDHE reports again "From 2002 to 2004, KDHE identified past property owners and operator; and also attempted to identify any potentially responsible parties, but none were identified. The corporate status of the Paris Corporation was listed as dissolved with no apparent successors" [KDHE]. The business name was forfeited in 1993 after a failure to file with the state . The schematic has 4 names on it, 3 of which I was able to make out. They are Al Dillard, K Lindberg, and Fred M Berry. The final name is signed very ornately and the paper is damaged which makes it difficult to read. Albert Dillard is the only one out of the 3 that, so far, appears to still be living. 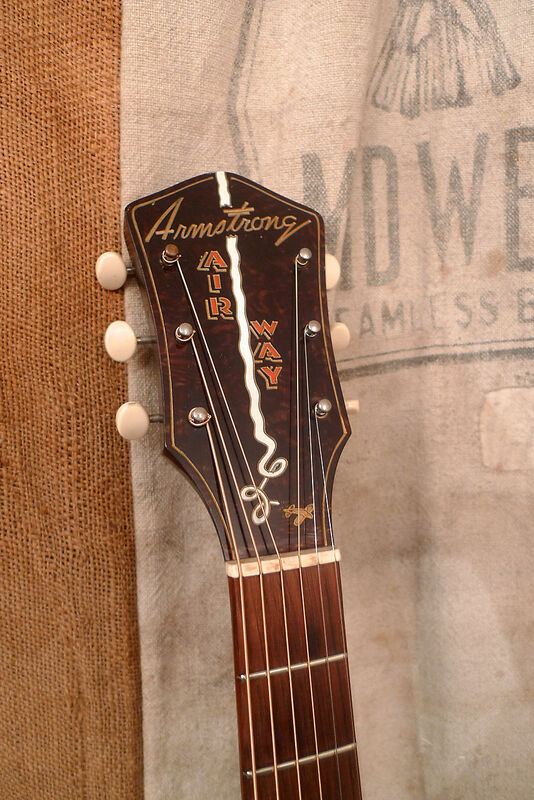 The Harmony Company was based in Chicago, IL and built musical instruments which were either sold directly to consumers or through a distributor. 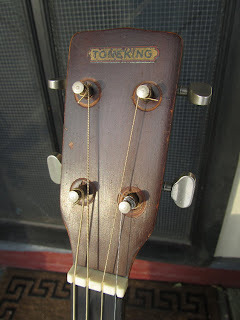 Sometimes distributors would put their own labels on the instruments as a cheaper alternative to building their own house brand. Tracking down what brand names were built by whom is often a difficult process and takes someone who is very familiar with that builder's characteristics to identify. So I've decided to go ahead and create a list of as many brand names and aliases that Harmony musical instruments could be found under. This list will focus only on the US-built guitars by Harmony and so any of the instruments built after 1975 will be ignored. 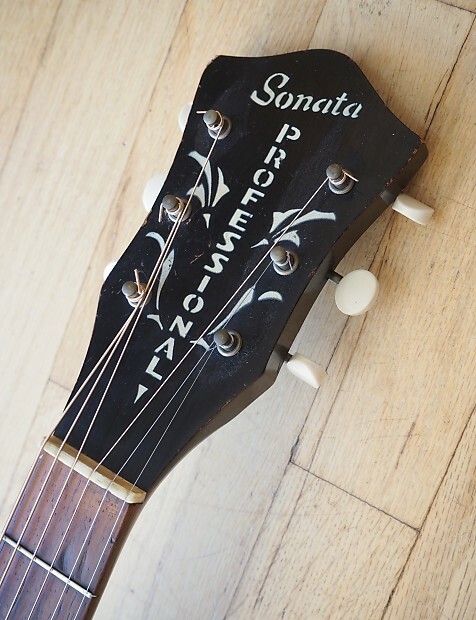 Disclaimer: Brand names were often shared as distributors changed who they wanted to buy instruments from. There are brands listed here that were made by both Harmony and Kay as well as other companies. 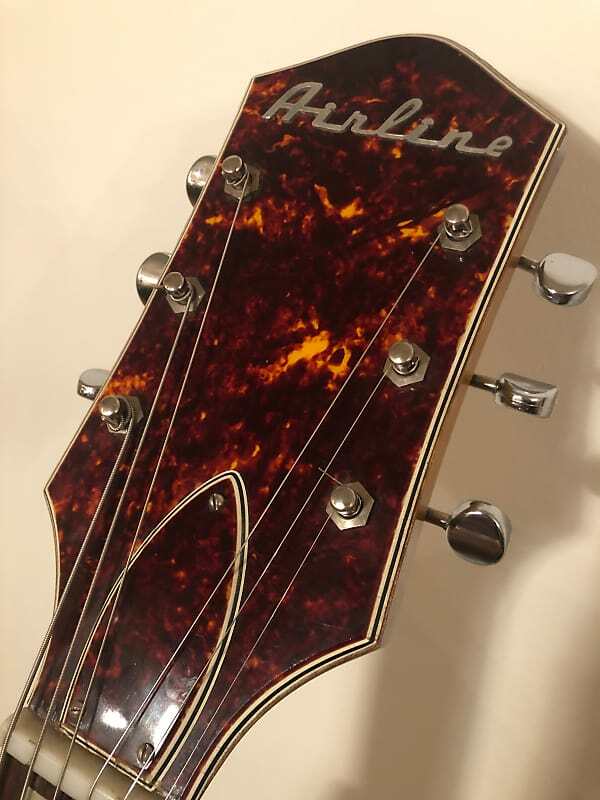 Credit to Jedistar.com for having one of the largest searchable indexes of guitar brand names which definitely has helped. And Jake Wildwood who restores vintage instruments and is an immeasurable source of knowledge on obscure guitars. Appeared in the Vitak-Elsnic sheet music company in the 1930s . 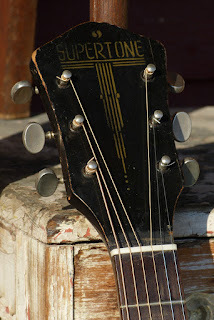 Not to be confused with the "Buckeye" stenciled design featured on many cowboy guitars of the era. Produced from 1929 until the late 1940s [Wright 169, 170]. Produced for the Continental Music Company . 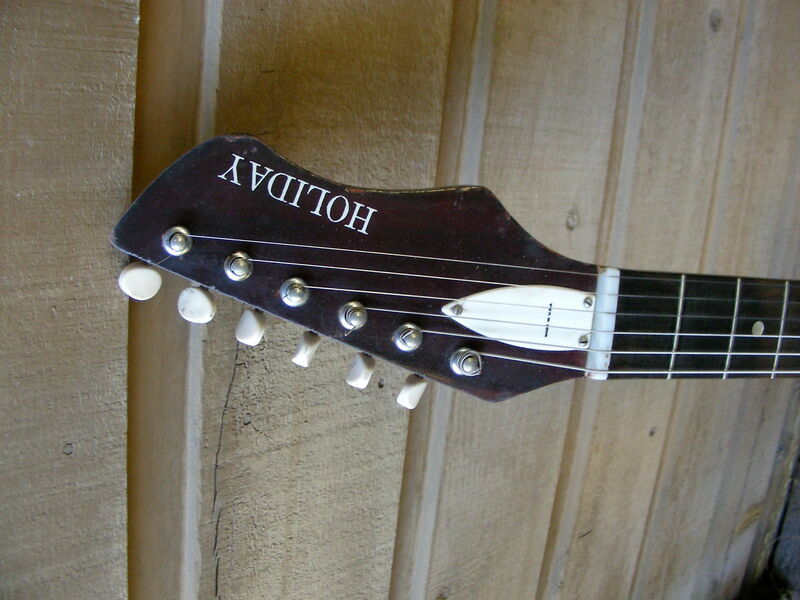 H&A Selmer, (Elkhart, Indiana) distributed Esquire guitars made by Harmony in their 1938 catalog. 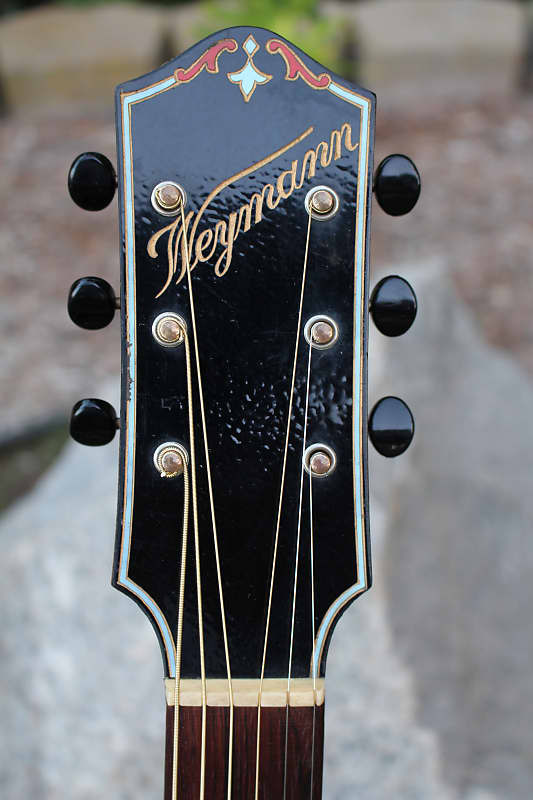 The upper grade Esquire models were made by Kay at the time. 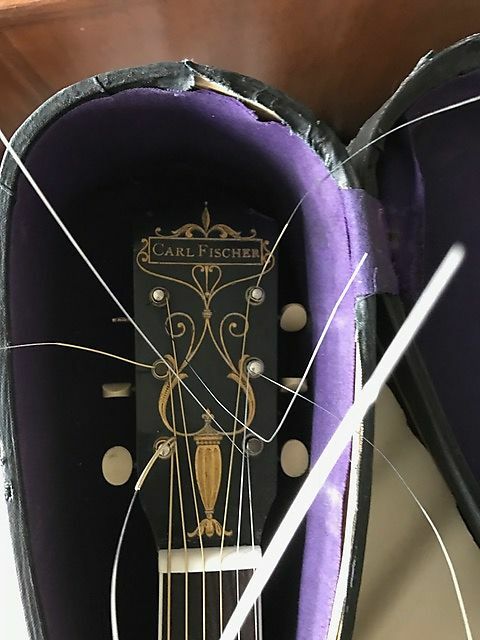 Of course there is no connection with the German Hoyer Esquire model, nor with the most famous Fender Esquire . Distributed by Heathkit based in Minnesota . 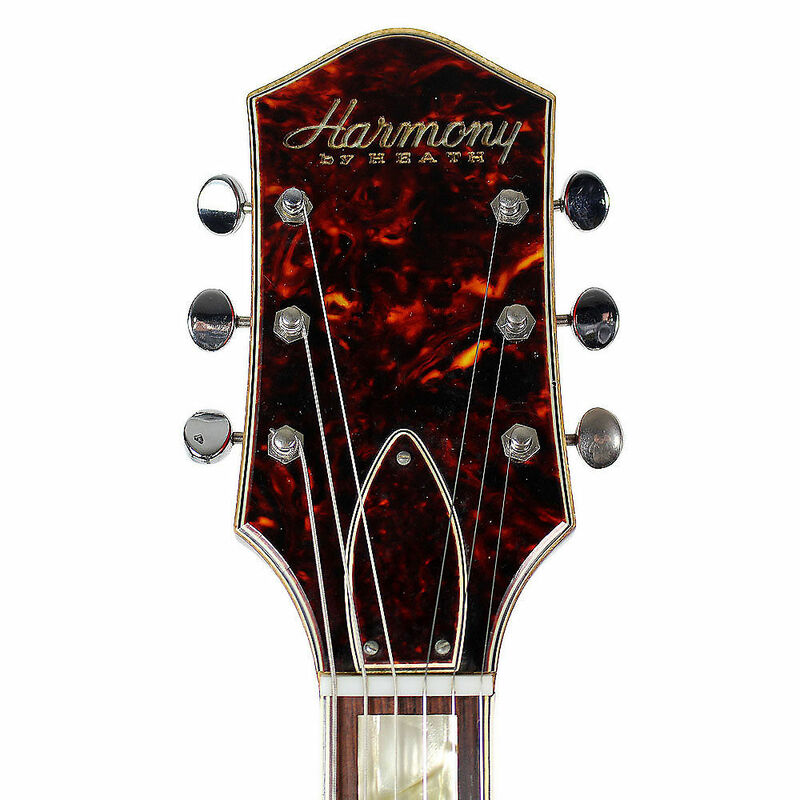 Branded "Harmony by Heath"
Built in the late 30s and 1940s by Harmony, also labelled as Nobility . 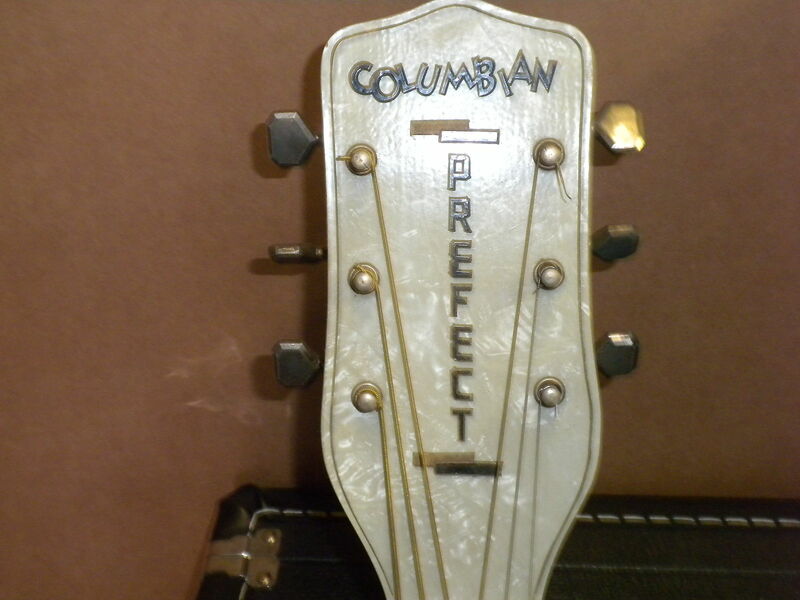 Distributed by Selmer from Elkhart, Indiana . 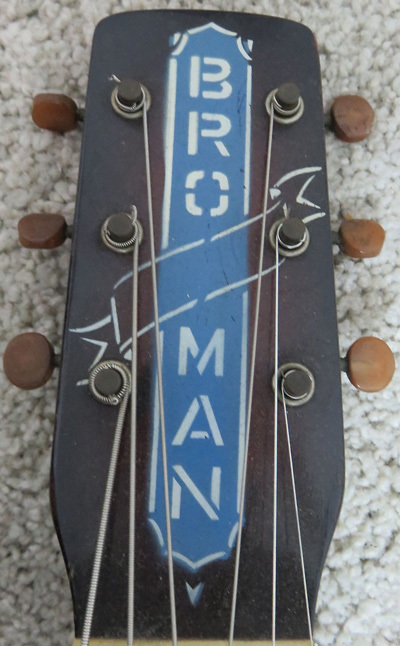 Marvel guitars were marketed by the Peter Sorkin Company out of New York, USA. Made in the 1940s through the 1970s according to Jedistar and ebay . Built in the late 30s and 1940s by Harmony, also labelled as Lombardi . 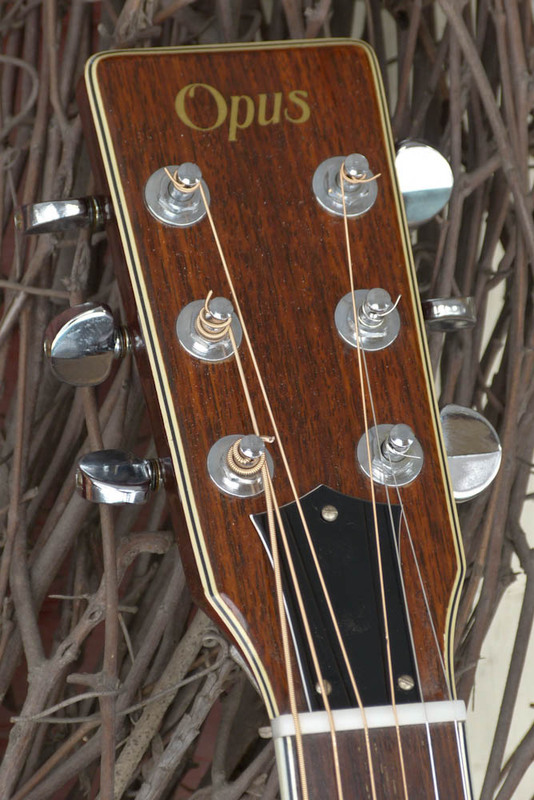 The pictured guitar is a late 30s, early 40s model of the Harmony Monterey. "In 1934, the William L. Lange Company (New York) debuted the Paramount guitar series - and some of the models were built by the C.F. 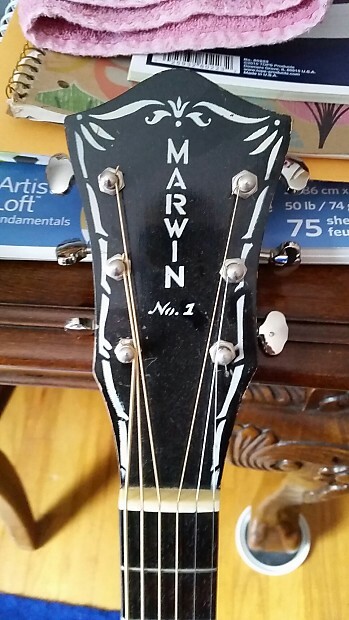 Martin guitar company. However, Lange´s company went out of business in the early 1940s. 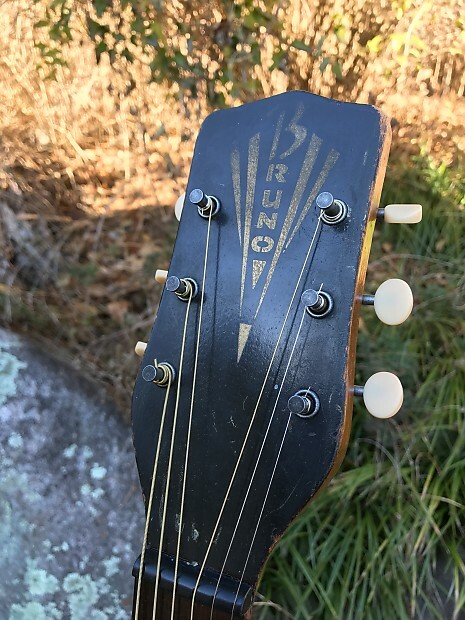 In the late 1940s, the Paramount guitar line was reintroduced and distributed by Gretsch & Brenner (source: Tom Wheeler, American Guitars). 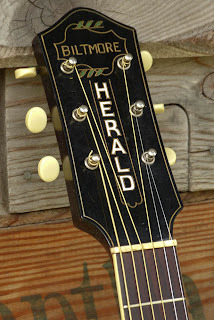 "Harmony aquired the rights to the Regal brand name in 1954. Regal guitars were licensed to Fender in the late 1950s, and some of the Harmony built "Regals" were rebranded with the Fender logo. This agreement continued up until the mid 1960s, when Fender introduced their own flat-top guitars. " Probably the most common brand out there. 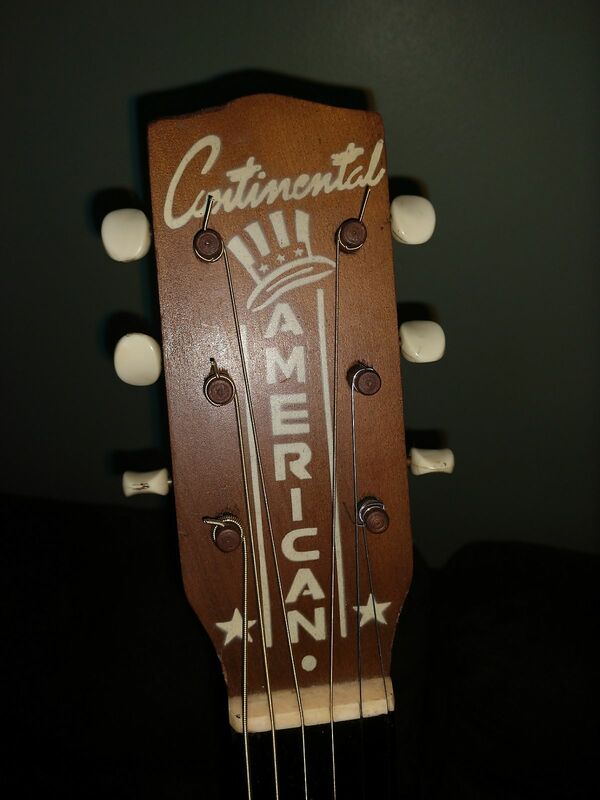 Built by Kay and Harmony and distributed through Sears, Roebuck, and Co for a majority of the 20th century. 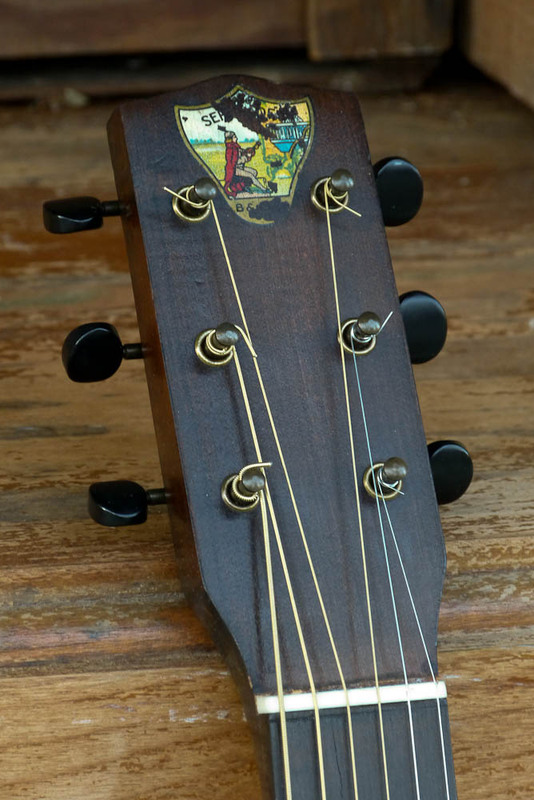 "Harmony-made S.S. Stewart-brand guitars (sold by retailer/catalog-house B&J at the time) can be commonly seen from the late 1930s through the early 1950s, but it's rarer to find the earlier ones. Judging by the build, size, and hardware, this is probably a 30s model and it's a nice one at that. I'm pretty sure the top on this one is carved as opposed to pressed, though I can't say that without a doubt. " "Distributed by Eaton's Canada" . Also built by Kay. Distributed by Montgomery Ward . Possibly a house brand for a South African company as a couple people on Jedistar.com say thats where they found them . 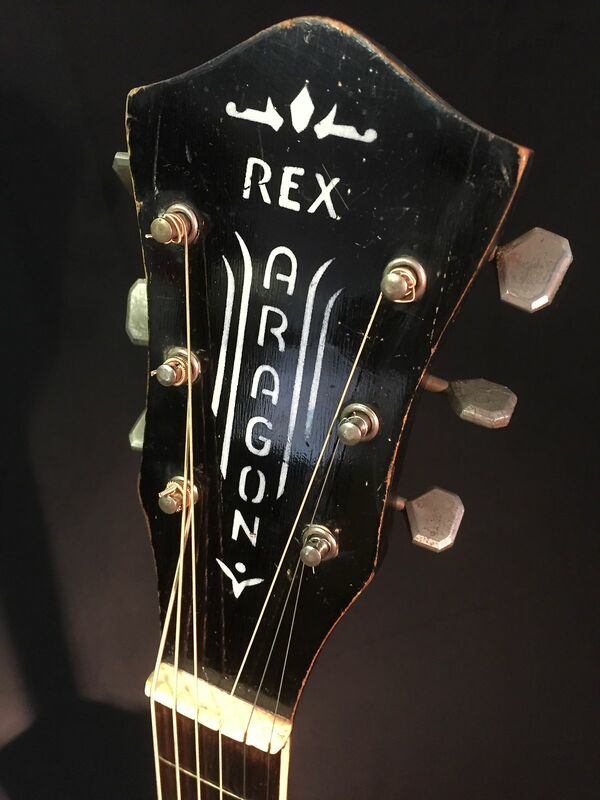 Recco was formed by Kansas City native, Sigmund Harvey Laner in 1965 and lasted until 1971. In 1968, talks of a merge with Medco Incorporated, which focused on jewelry, were announced via The Kansas City Times . In 1981 Medco was merged with another company, the Misdom-Frank Corporation, and in 1984 all jewelry operations ceased . No further mentions of Recco are found. Recco amplifiers were built by Guyatone (Tokyo Sound Company) in Japan and a key feature is the use of grey "RIVER ELETEC[sic] CORPORATION" resistors and 6BQ5 (EL84) tubes . These amplifiers have printed circuit boards where the tubes attach directly to the board and not the chassis. As of the writing of this article, I own a Recco model 303 amplifier which is identical to the amplifier in the cited post. Jedistar (a very reputable resource) has a picture of a Recco amp with the text "Rheem Manufacturing Company" and "Made in the USA" . I found the company (incorporated 1963, merged 1975, and based in St Louis) but they focused on plumbing and not cabinet or amplifier construction . Recco guitars, like any Japanese import, could be made by a variety of manufacturers depending on who they bought from. 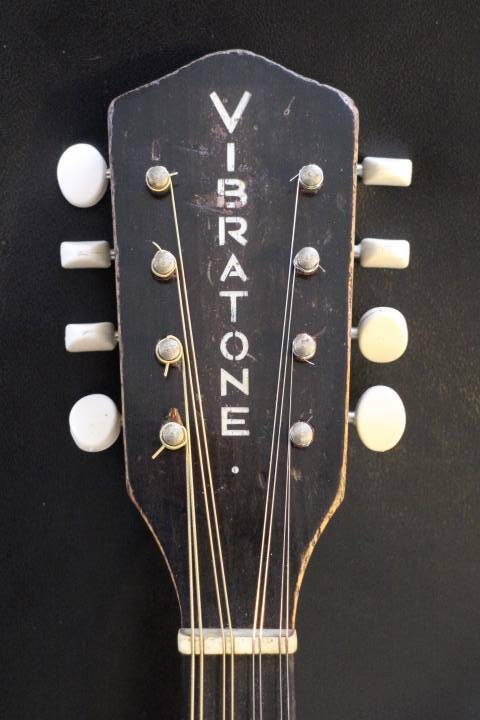 Some Ebay listings cite Ibanez models and others just say Teisco so I do not have a definite answer. I paid a small fee to obtain documentation about Recco Instruments from the State of Missouri and so I am uploading it after I ran it through OCR so the contents can be index-able by search engines. DISCOUNT RECORDS OF ALA., INC.
DISCOUNT RECORDS OF ARK. , INC..
DISCOUNT RECORDS OF S.C., -INC.
DISCOUNT RECORDS OF GA. , INC.
DISCOUNT RECORDS OF IOWA, INC.
.DISCOUNT RECORDS -OF KANSAS, INC.
DISCOUNT RECORDS, OF MO., INC.
DISCOUNT RECORDS OF NORTH CAROLINA, INC.
DISCOUNT RECORDS OF OKLAHOMA, INC.
DISCOUNT RECORDS OF WIS. #2 •INC. DISCOUNT RECORDS • OF ARK. , lfc. DISCOUNT RECORDS OF IND., INC.
DISCOUNT RECORDS OF KANSAS, INC.
DISCOUNT RECORDS OF WIS. #2, INC.
Of each of the twenty wholly—owned subsidiaries of Recco, Inc.
-sometimes called "Constituent Corporations") into Recco, Inc.
duties had been Incurred or contracted by It . the -Intent and purpose of this Agreement . the- Merger'! shall be the time at which this Agreement Is appropriately. filed In accordance with the laws of the State of Missouri . qu1s1te approval by stockholders of the Constituent Corporations . amended or repealed as provided by law. Capital stock of the Constituent Corporations. and all rights with respect thereto shall cease . 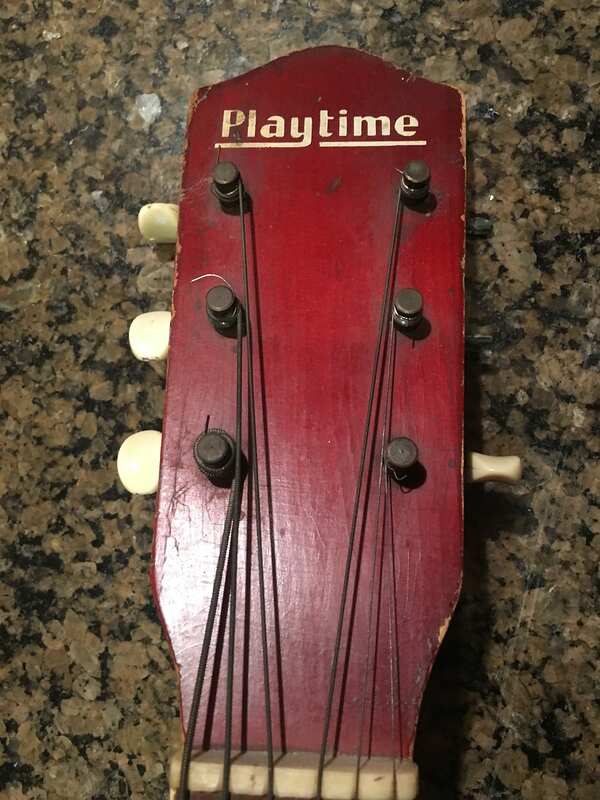 deemed to be an• original Instrument. DISCOUNT RECORDS OF ARK. , INC.
DISCOUNT RECORDS or IOWA, OINC. DISCOUNT RECORDS OF MO., INC.
RECORDS OF N. M. y INC.
DISCOUNT RECORDS OF WIS. INC.
favor of. the approval of said Plan and Agreement of Merger . DISCOUNT RECORDS OF. IND., INC.
.DISCOUNQ RECORDS OF OKLAHOMA, INC.
have been received, found to conform to law, and filed. For Credit of General Revenue Fund, on Account of Amendment Fee. The name of the corporation is: RECCO INSTRUMENTS, INC .
is: S. Harvey La ner. -of the stock of the corporation. Of the shareholders is three. or repeal the By—Laws of the corporation. The duration of the corporation shall be perpetua 1.
and supplies of every kind, character and descr iption. articles of every kind and description. the conduct of this corporation. 6th day of August, 1965.
foregoing Articles Of Incorpora tion are true . the same as their free act and deed. For Credit of General Revenue Fund, on Account of Incorporation Tax and Fee.